Mink are not native to the British Isles. This alien species, which escaped in to the wild (or in some cases was released) from fur farms, is thought to have had a serious effect on the population of native water voles. It originated from North America. 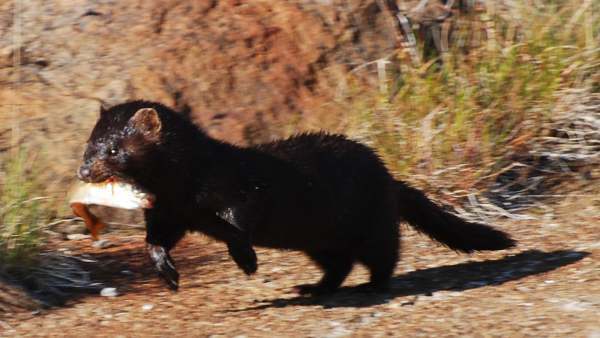 The European Mink, Mustela lutreola (syn. Lutreola lutreola), pictured below, is now confined to a few parts of northern Scandinavia, having been driven out of most of its original range, probably by a combination of persecution and habitat loss. Mink can be very dangerous if they are cornered. 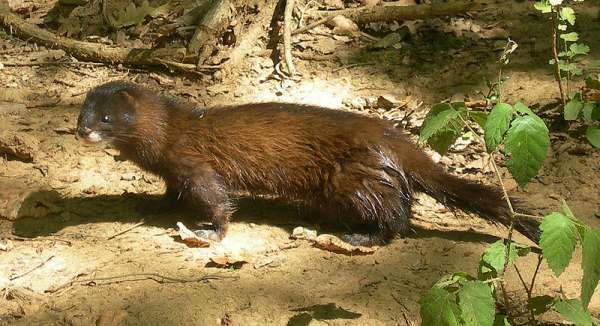 If you are bitten by a mink it is important to obtain medical treatment immediately, since some mink may be carriers of Wiels Disease. This page includes pictures by Bjørn Tennøe (Wikipedia) and Andrew Ives (Wikipedia, public domain image).